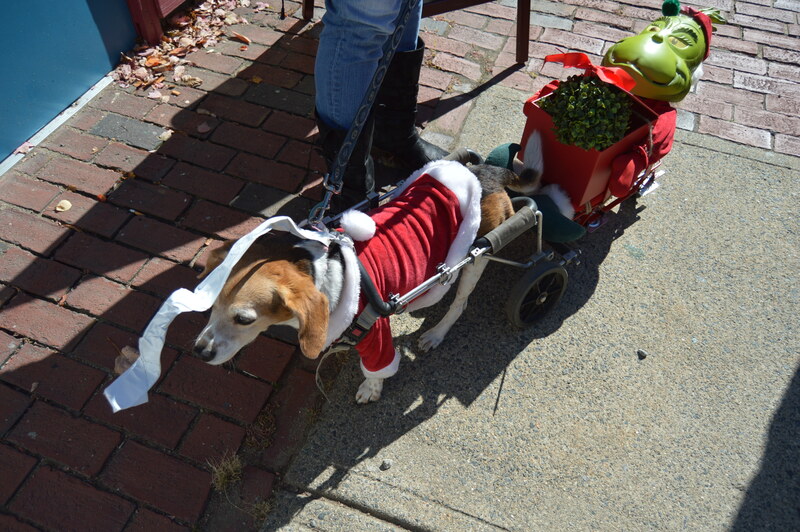 It’s that time of the year again in Salem, MA. 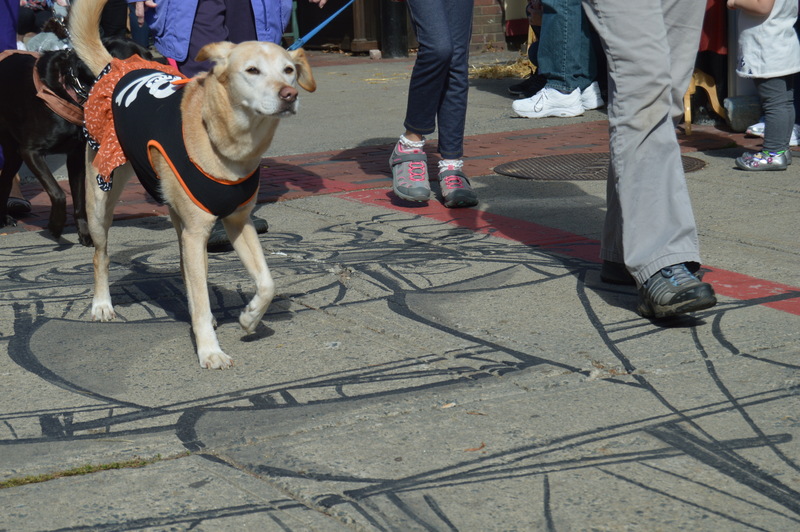 Ghosts, goblins and traffic have begun inundating the streets and walkways of Salem for the Halloween season. 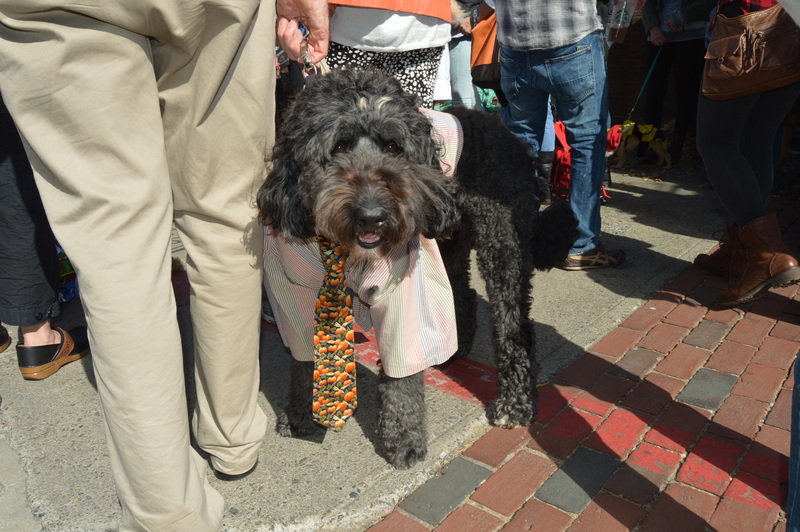 The Salem Chamber of Commerce kicked off the Halloween season with their 23rd annual Haunted Happenings Grand Parade. 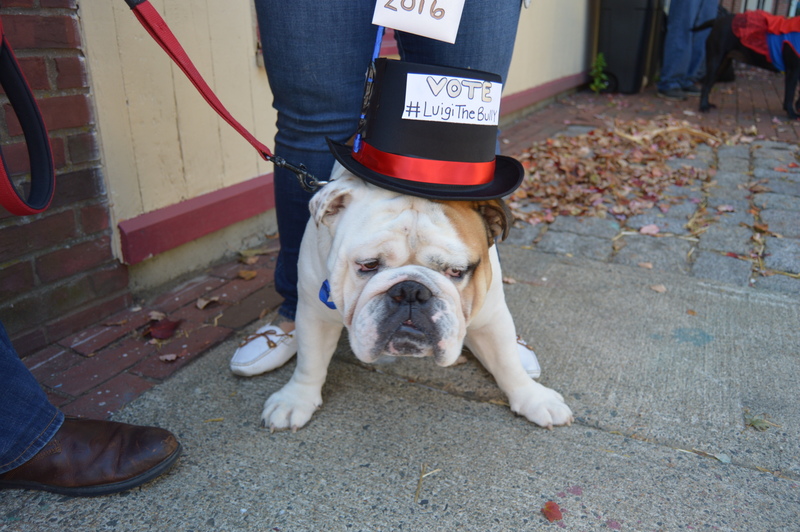 Decorated vehicles and costumed marchers lined the streets of downtown Salem. 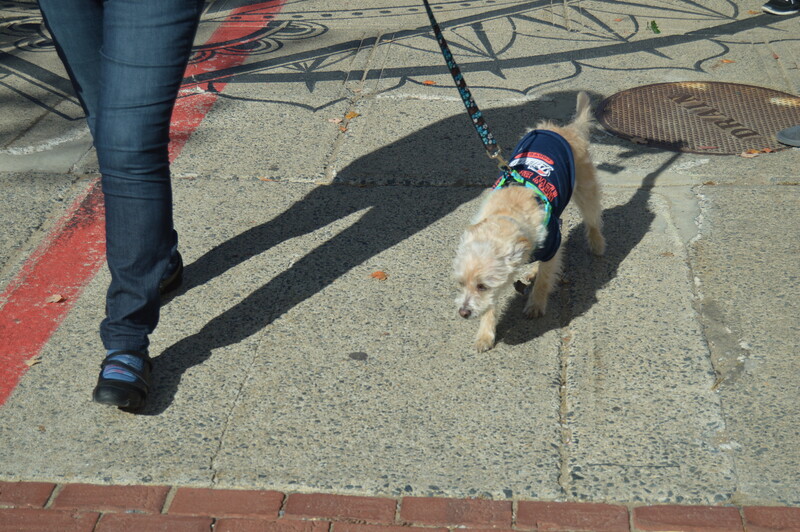 The Salem Marines JROTC and Irish American Association of Police Officers and other men and women also marched. Some of them even gave candy to the spectators. 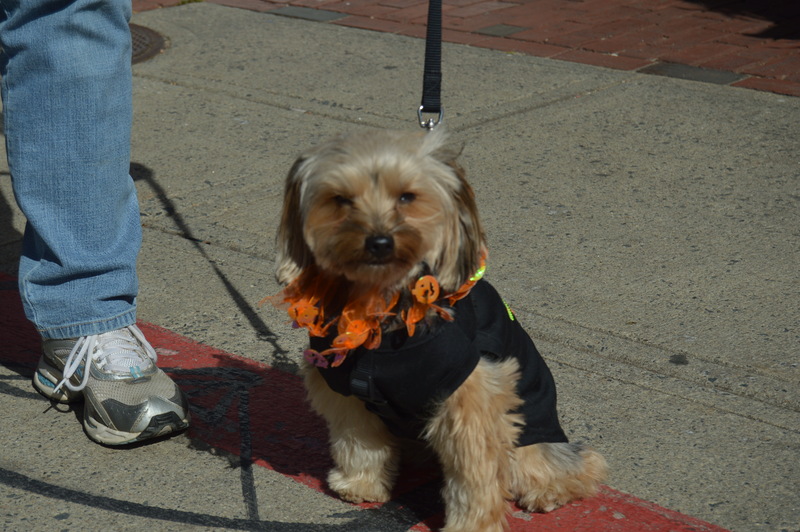 The theme of this year’s parade was Hocus Pocus, the film starring Sarah Jessica Parker and Bette Midler. This year marks the 25th anniversary of the film which features several Salem landmarks in the film such as the Old Town House which I have photographed in the past. Or, from the more prominent side in the film, the front side of the building. The building doesn’t usually have words written in chalk on it usually. There are poems in chalk written on this building in this particular photo because I took the photo during a poetry festival in which visitors could either write their own poems or other famous poem in chalk on the building or on the street. Keeping with this theme, there were lots of people dressed up as the Sanderson sisters. 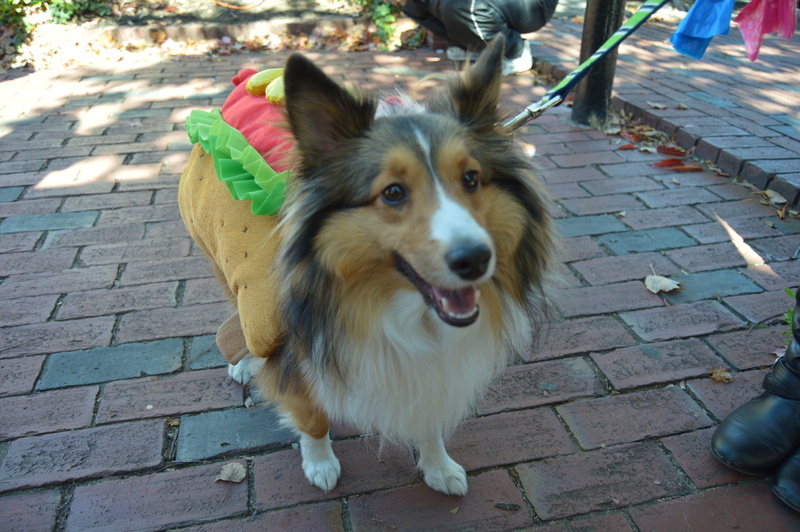 It is a very common costume theme in Salem each year, likely because of the connection to the filming sights from Salem in the movie. 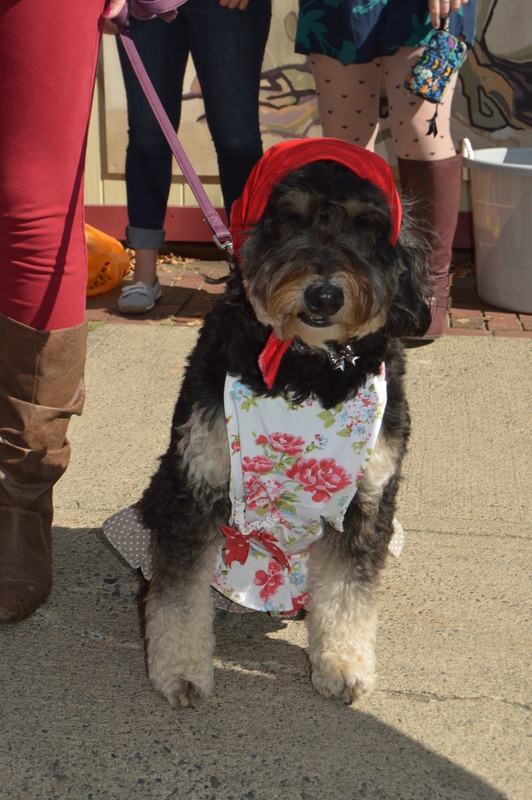 In the second photo, Mary Sanderson couldn’t make it to Salem, so they had a stand in for her. 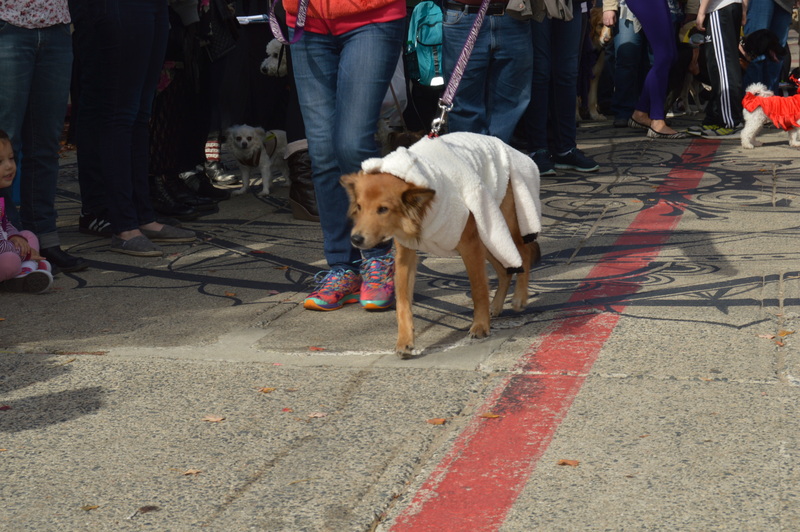 Even the spectators were dressed up for the event. 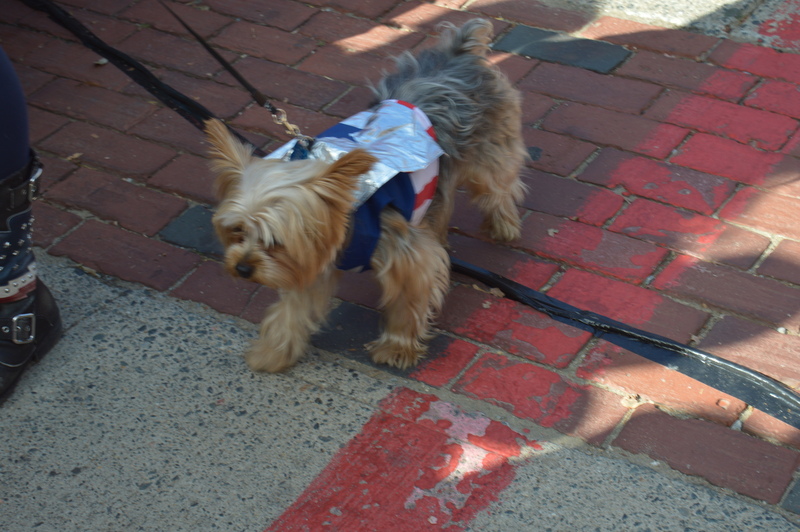 Not to be outdone by the humans, there were also dogs dressed up at the parade. 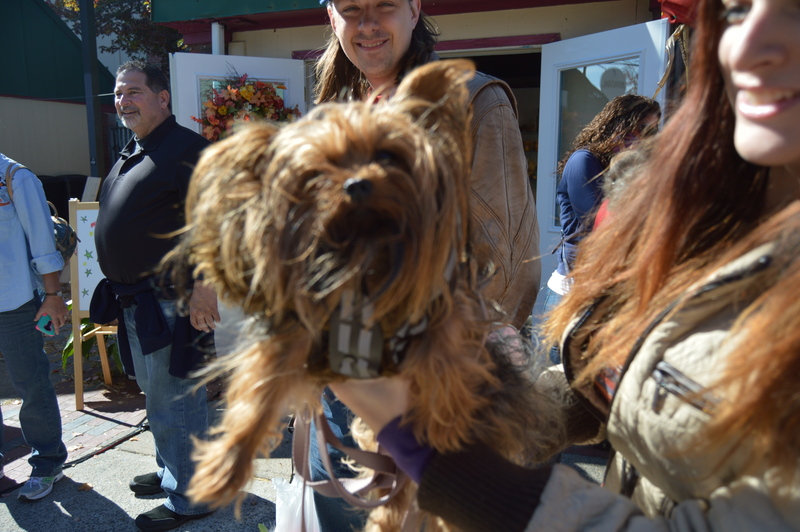 This king is Buster, a 7 year old Yorkie. 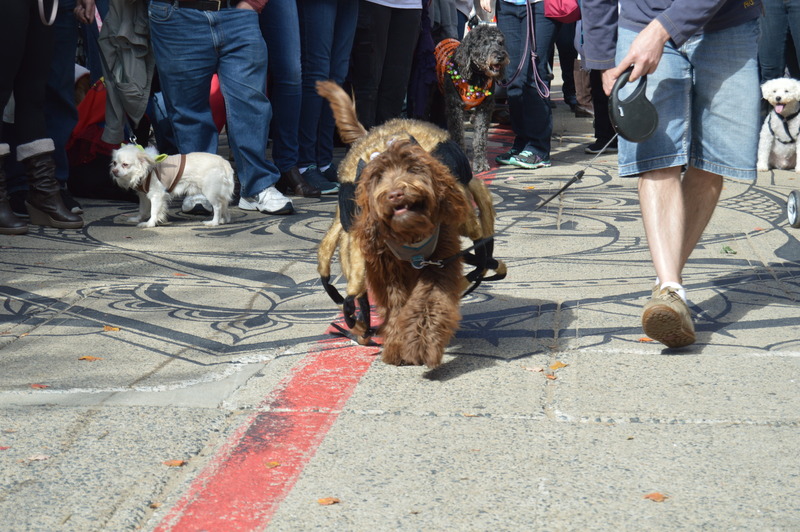 Ginger is an 11 month old butterfly, I mean Goldendoodle. 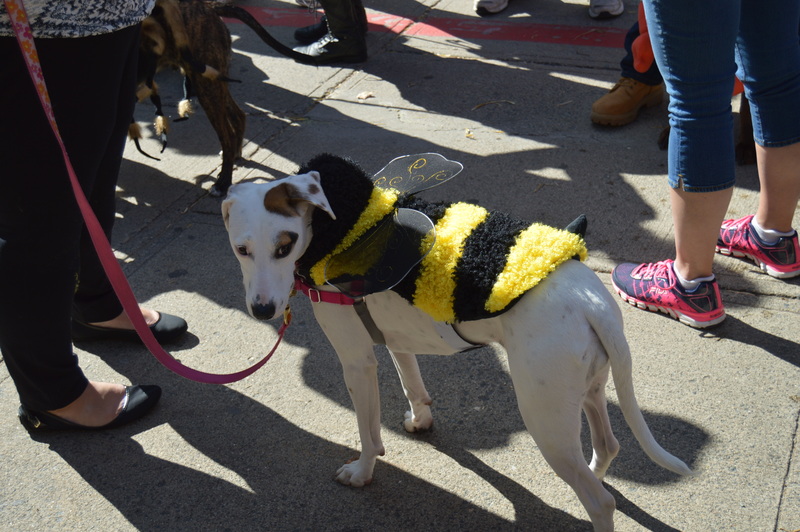 Or is she a Goldenfly or butterdoodle? 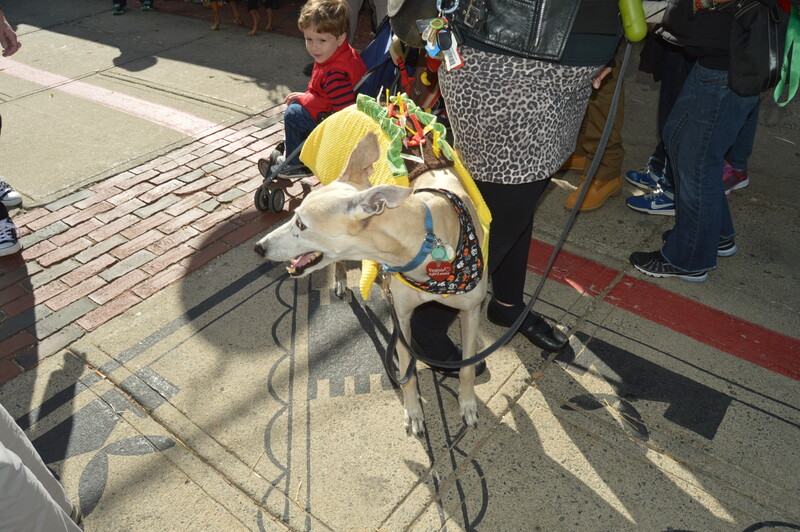 I saw Roy, a 7 year old German Shepherd, while I was walking to the parade. He is posing in front of a cool classic car in front of the Peabody Essex Museum. I’m not sure why this sweet ride was parked there since Essex St is usually closed to vehicles during the Halloween festivities. But, a good bet is that the mistress of the dark, Elvira, drove to the museum in that car as she was the special guest at the museum that day. If only I could be in two places at once. Due to the low light environment (the parade began shortly after 6 p.m. EST) and the various characters to show, it was a little easier to video parts of the parade. Unfortunately, YouTube failed to upload the last part of the parade that I had videotaped. Below are the three videos I took from the parade. 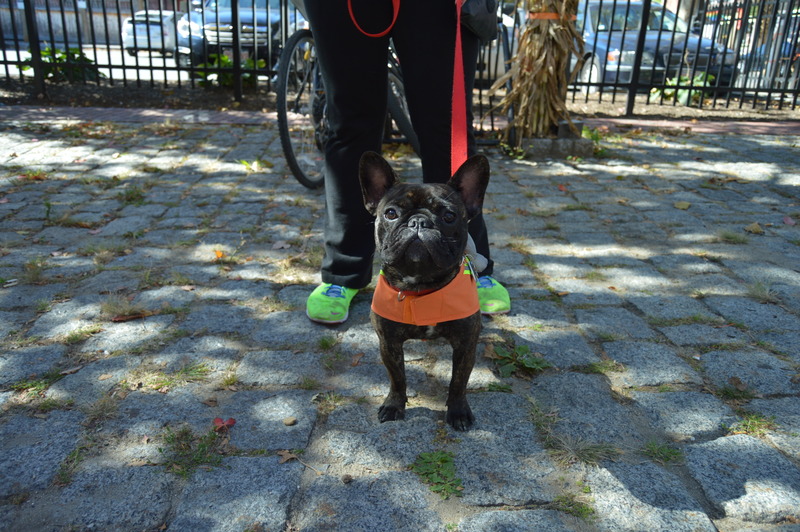 Hours: October 2, 1:00 p.m. – 3:00 p.m. 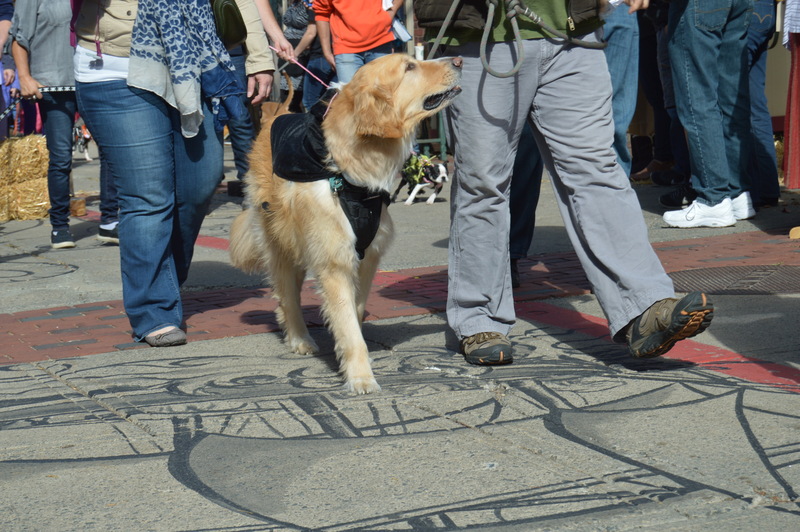 Parking: Serby Square and the surrounding area are pedestrian friendly, walking areas. cars are not allowed in this area. You need to park in a garage or find off street parking. There are two main parking garages on New Liberty St and Congress St within walking distance and there is metered off street parking. 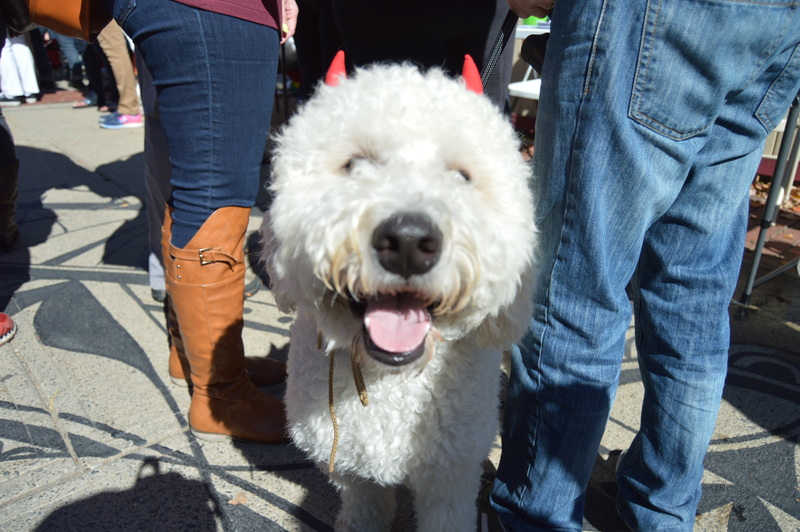 Just when you thought Halloween couldn’t be any more fun, Salem Main Streets, working with a variety of local businesses and organizations, held the 2nd annual Howl-O-Ween Pet Parade. 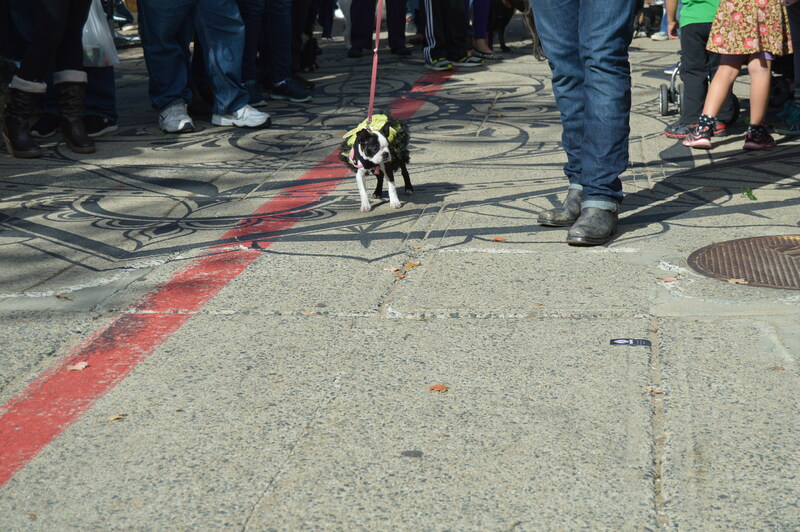 The first pet parade was such a success they moved it from Artists’ Row to Derby Square. 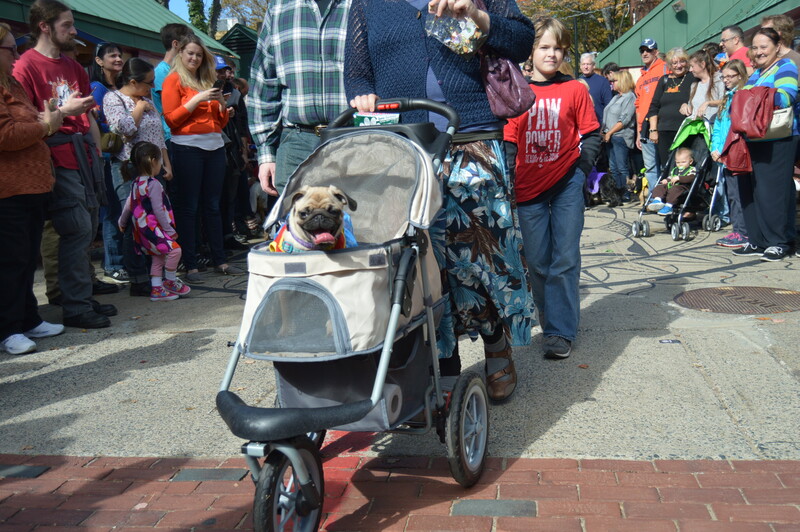 Having attended the first Howl-O-Ween Pet Parade, I think this was a good call. The other venue was too narrow and there didn’t seem to be enoug room for everyone to roam freely. Derby Square had more room but it also became crowded as well. 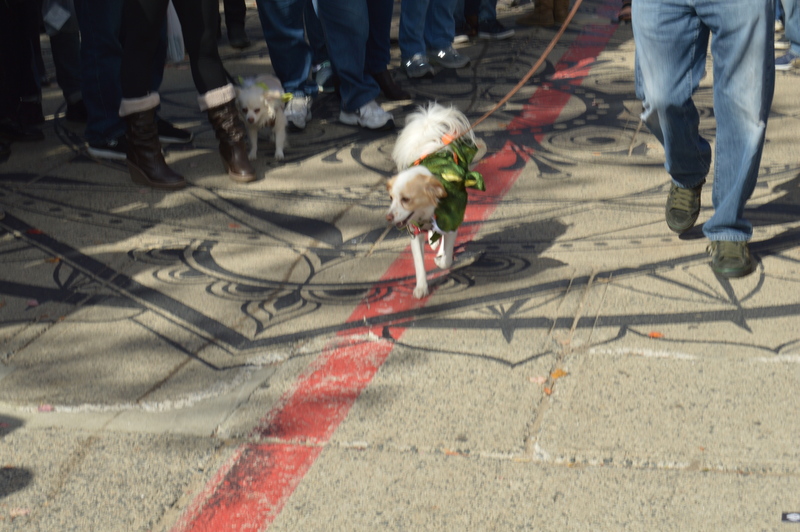 Everyone loves a pet parade I guess. 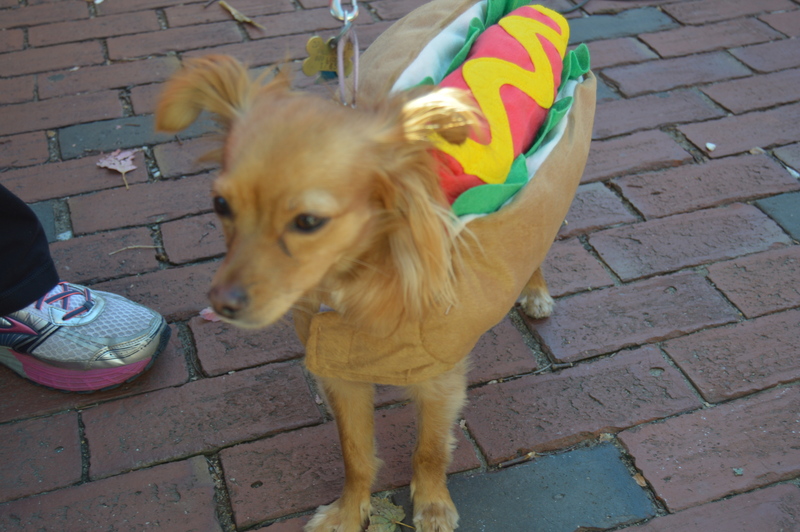 There were a variety of dogs in a variety of costumes. 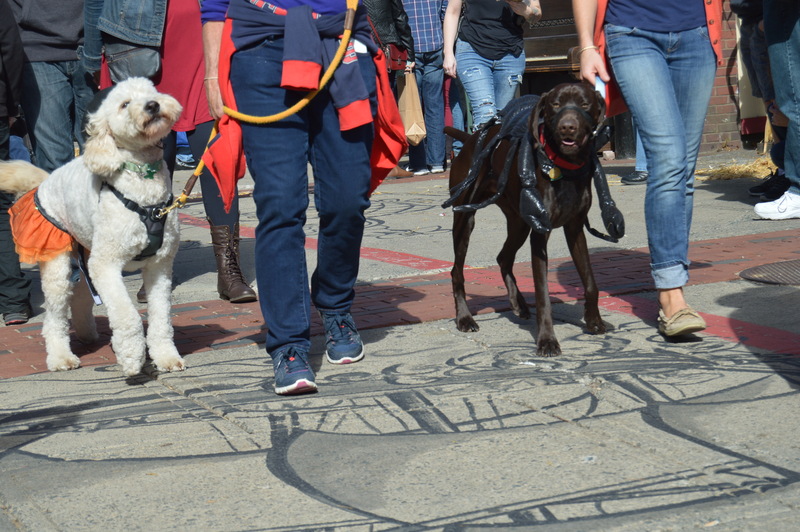 The group of dogs pictured above were, of course, The Scarecrow, Dorothy, the Lion and the Tin Man. They also brought a yellow brick road which the Scarecrow and Dorothy are sitting on. 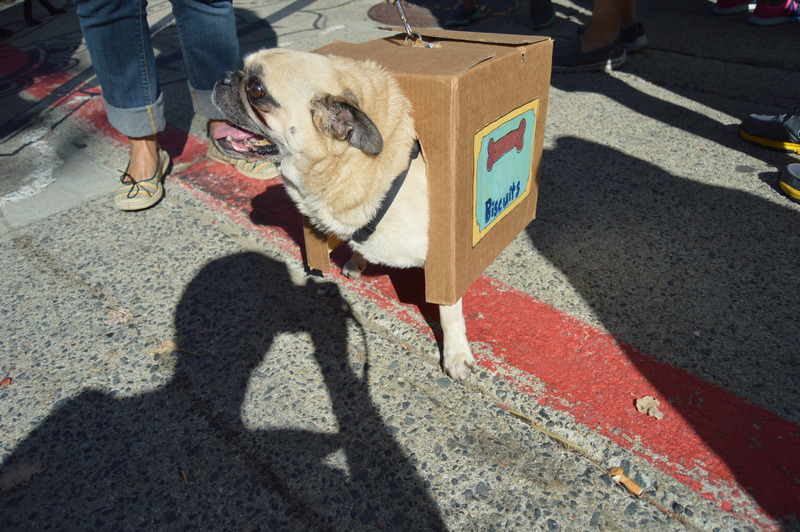 Here are some of my favorite dogs and their costumes from the day. 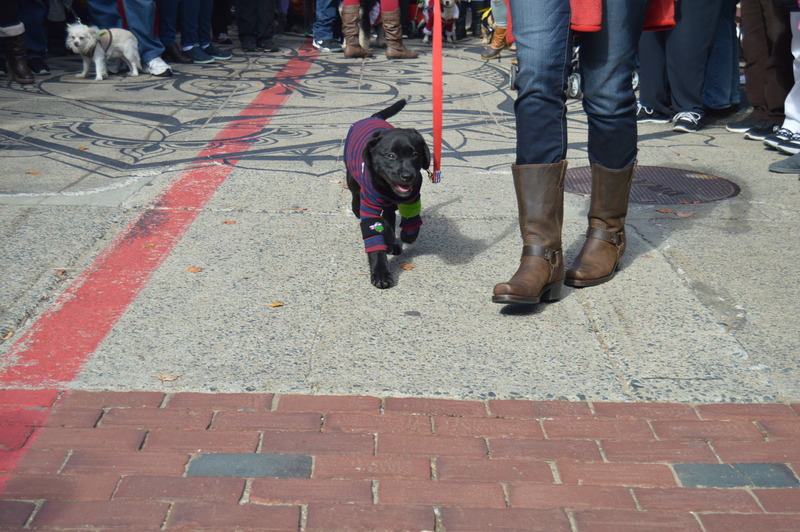 The force was with this 4 month old Lab who was dressed as Bark Vader. Aye Matey! Lady is a 10 year old Chihuahua. 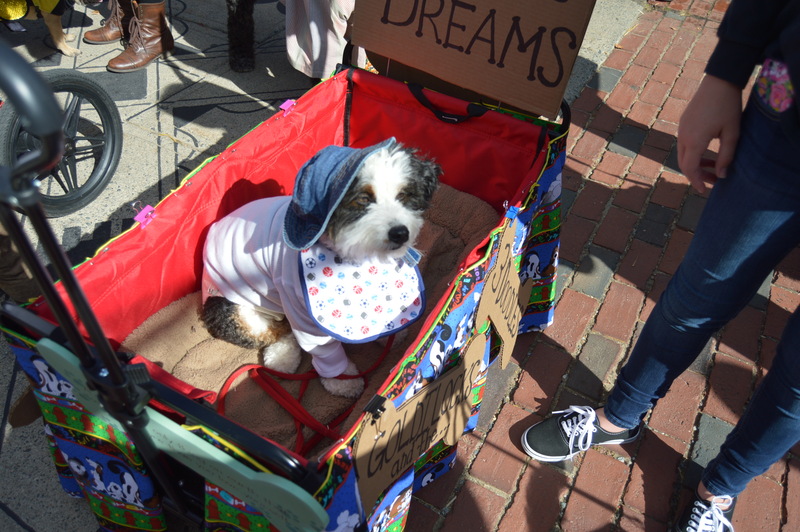 As if she wasn’t cute enough already, Alexsei, an 8 year old Jack Russell Terrier, was dressed as a koala. 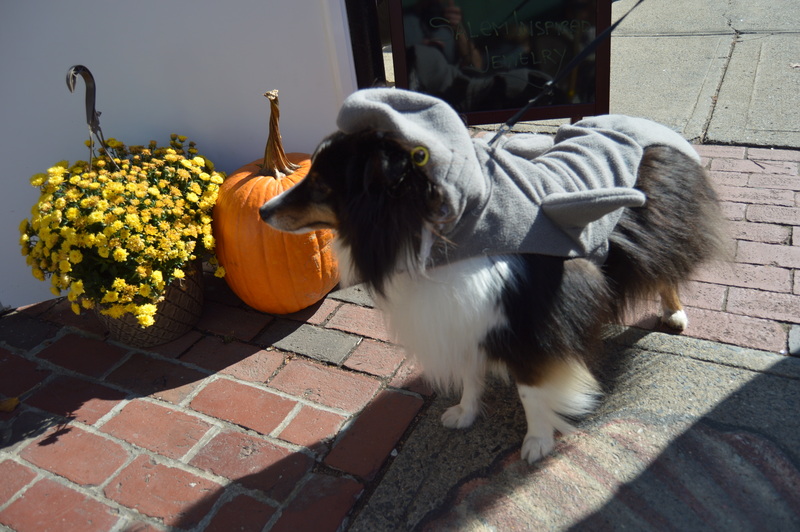 I’ve heard of dogfish sharks but this takes the cake. Willie, a 5 year old mutt, is a rescue. Samie is a 6 year old Greyhound. 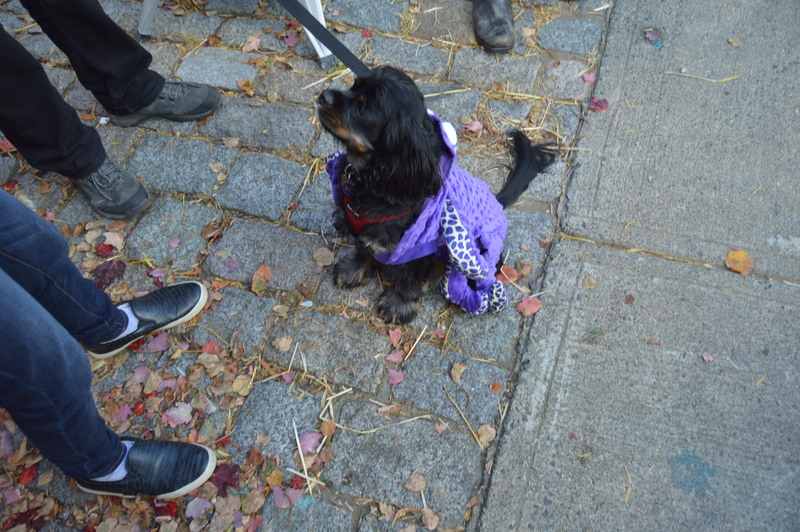 Blitzen, dressed as a purple monster, is a 1 year old Belgian Malinois (pronounced “mal-in-wah”). Yes, he’s 1 year old! 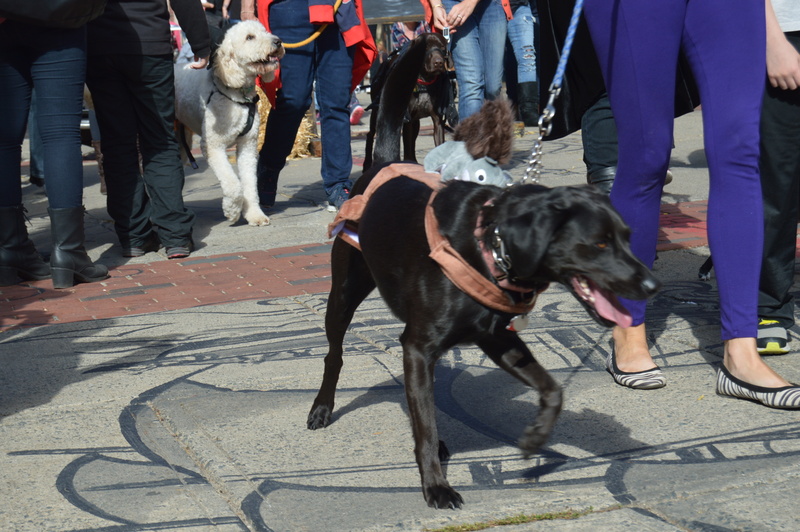 Mickey, I mean Riley, is a 2 year old Lab mix. I dare you to say “No” to that face. 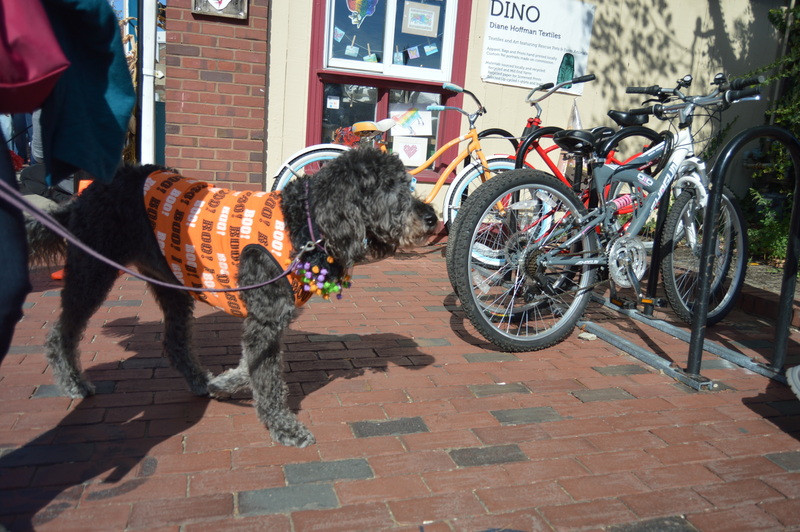 Here comes the bride Persephone (the name of the daughter of Zeus), a 10 year old Golden Doodle. 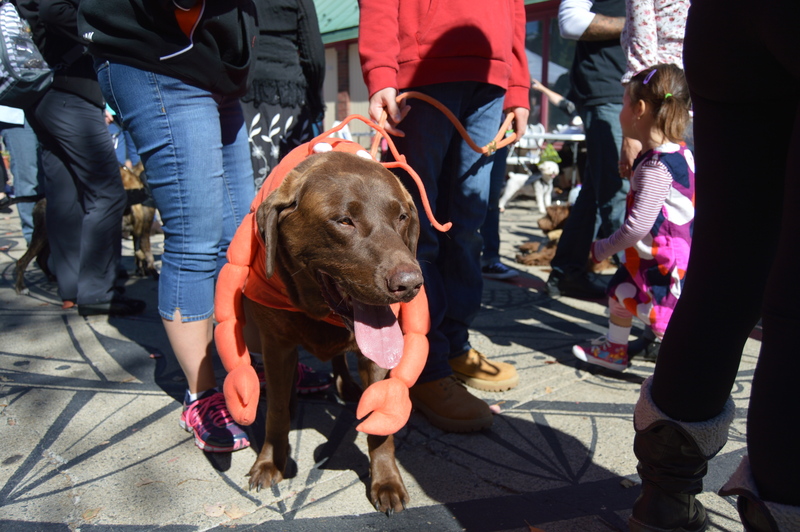 Daisy the Lobster is a 2 and a half year old dog. Her mom isn’t sure of her breed. She is a rescue from Puerto Rico. 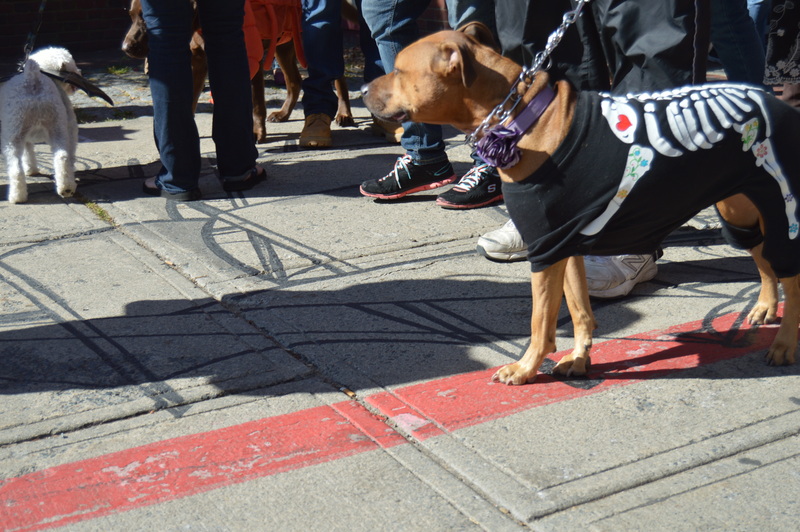 There were so many cute dogs at the pet parade. 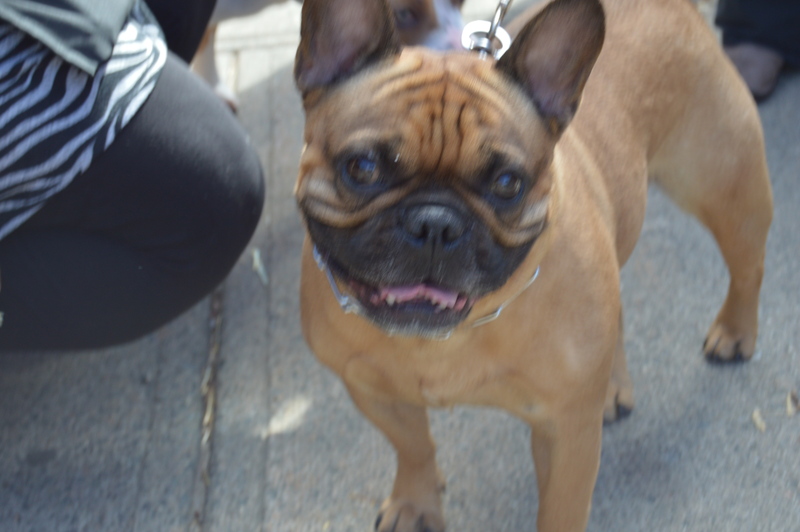 I was unable to get all of their names and breeds but I was able to photograph a lot of them. 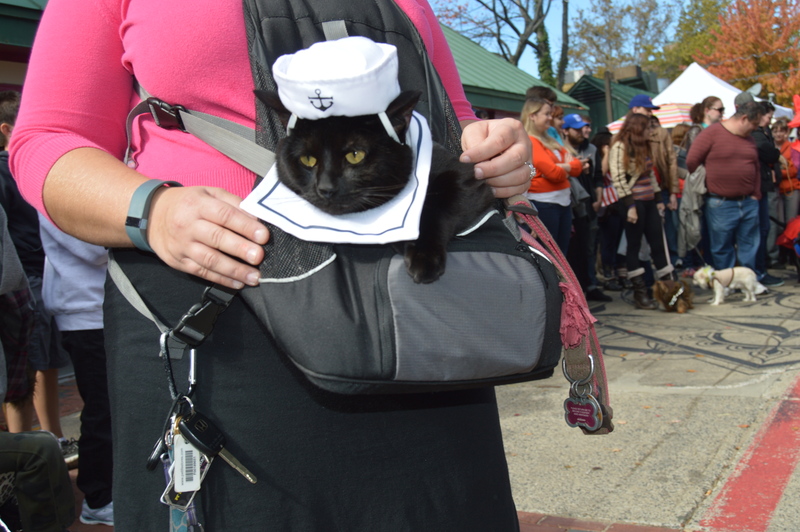 There were actually a few very brave cats dressed as Dr Seuss characters at the parade. 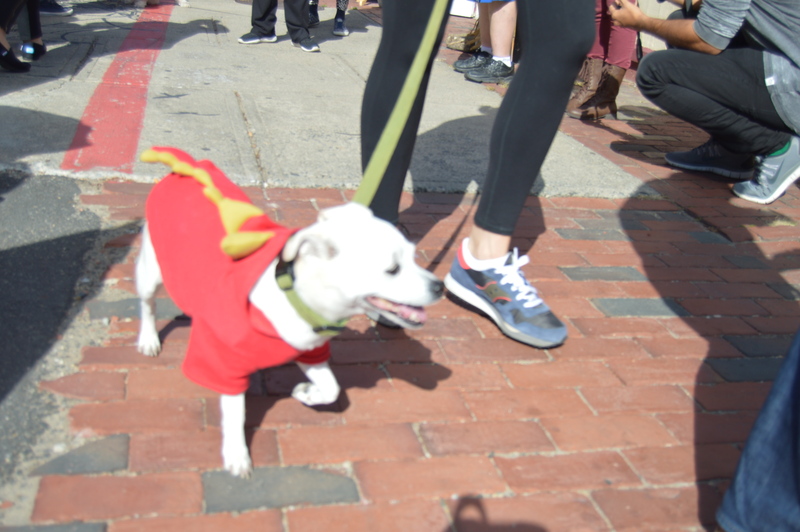 The SalemSaurus T Rex also showed up with his own dog. 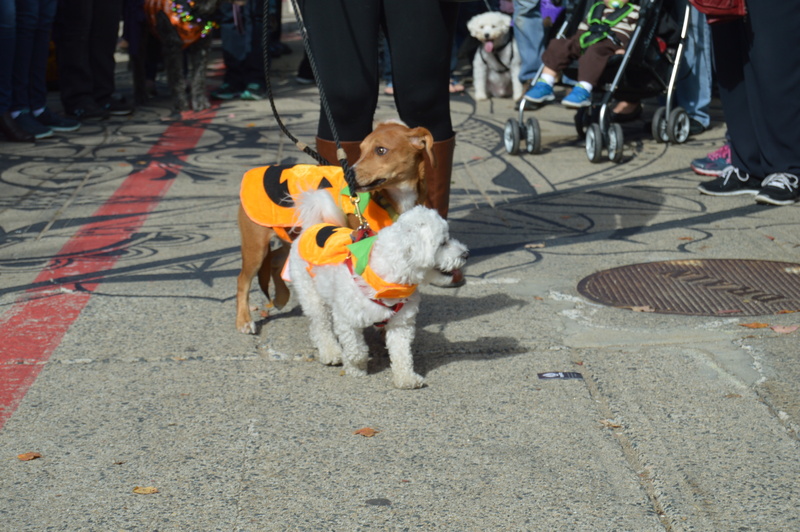 Even if they weren’t dressed in a costume, they were still cute. Lucy, a 14 year old Chow and Golden mix, just came by to hang out and watch the other dogs. 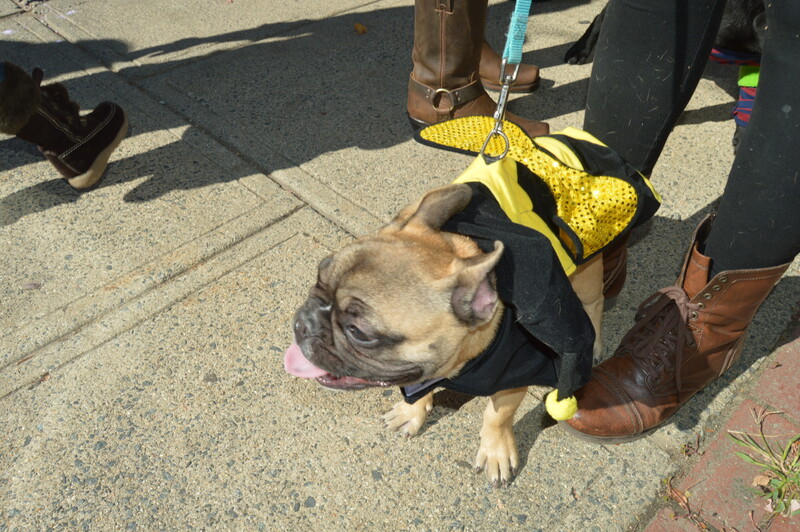 We also saw a family of bulldogs on the way to the event. 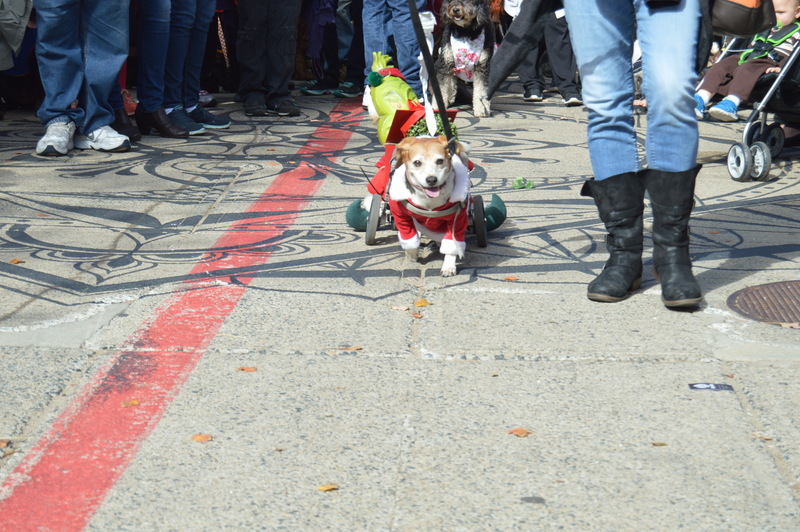 Below is a video of the pet parade. 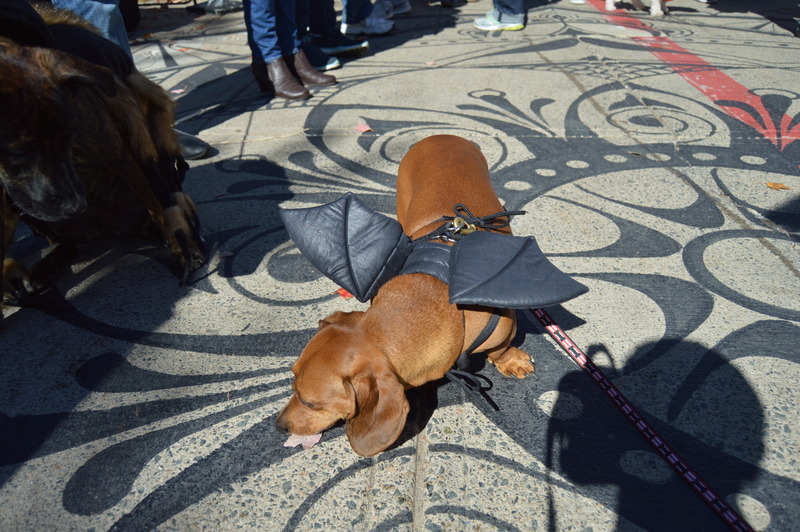 Dressing up for Halloween is not just for humans. 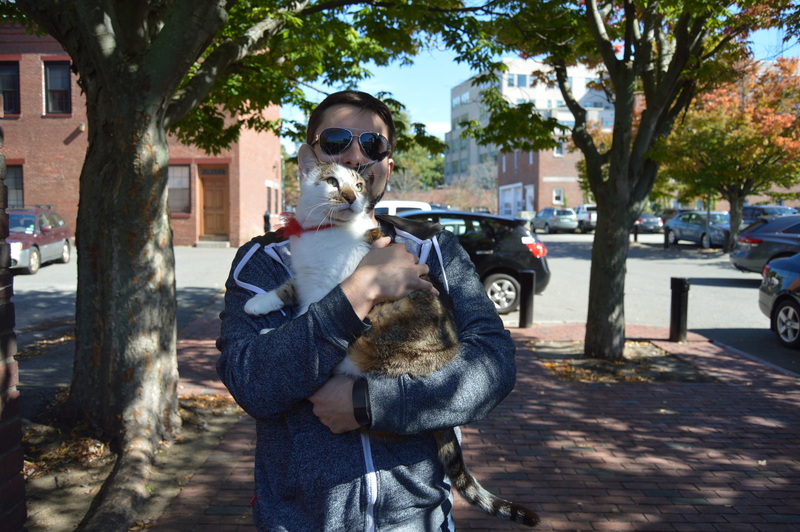 And there were plenty of pets on display Sunday in Salem, Massachusetts, to prove this. 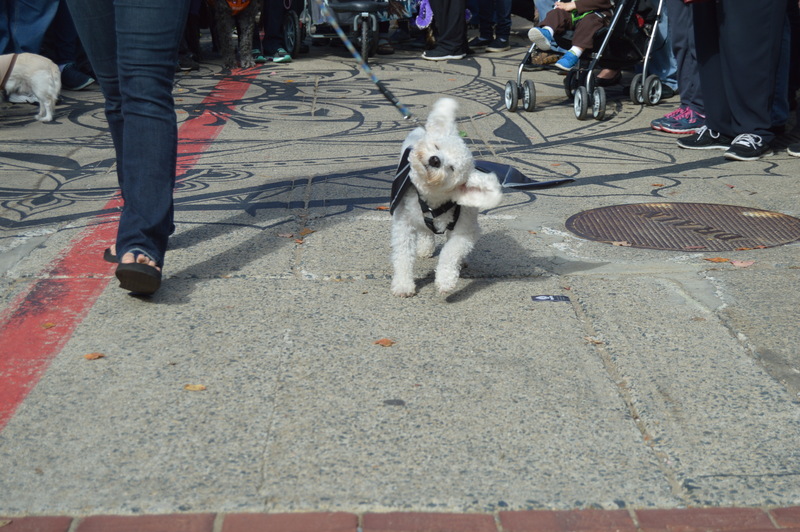 Sunday, the dogs, and a few cats, took over Salem at the Howl-O-Ween Costumed Pet Parade. 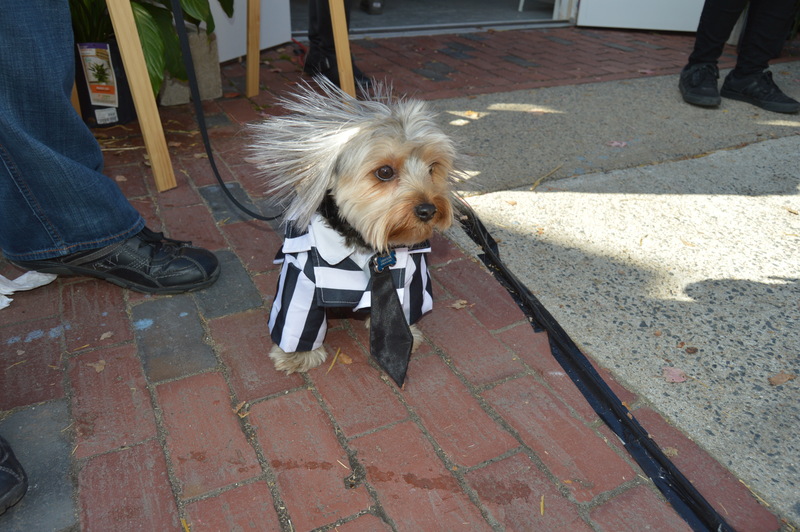 to the funny like this pooch dressed as Beetlejuice. 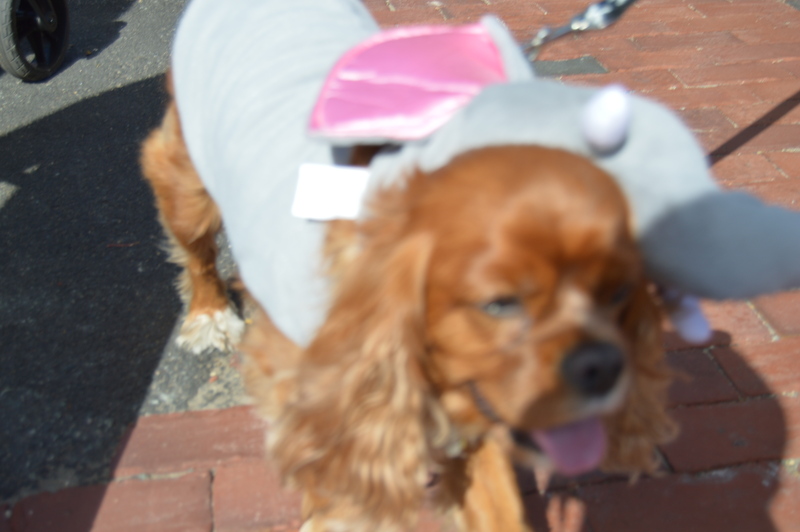 There were also an octopus, lobsters, a spider and even a squirrel riding a dog. 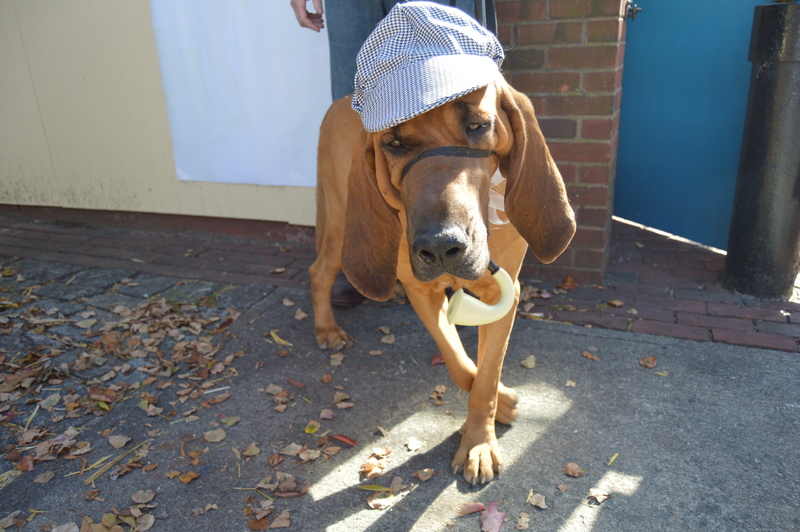 Some dogs decided to dress more like humans like Sherlock Bones. 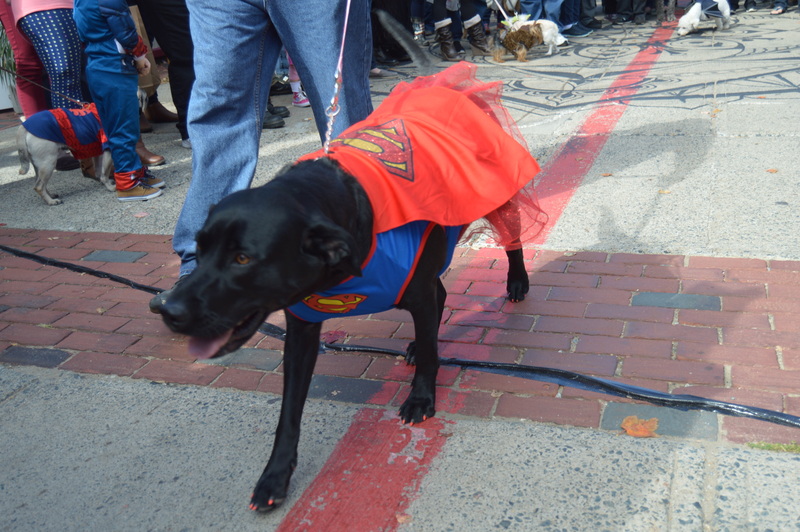 There were also a number of pets dressed as fictional characters such as Chewbacca and Superman/woman (with a tutu no less) and a super hero. 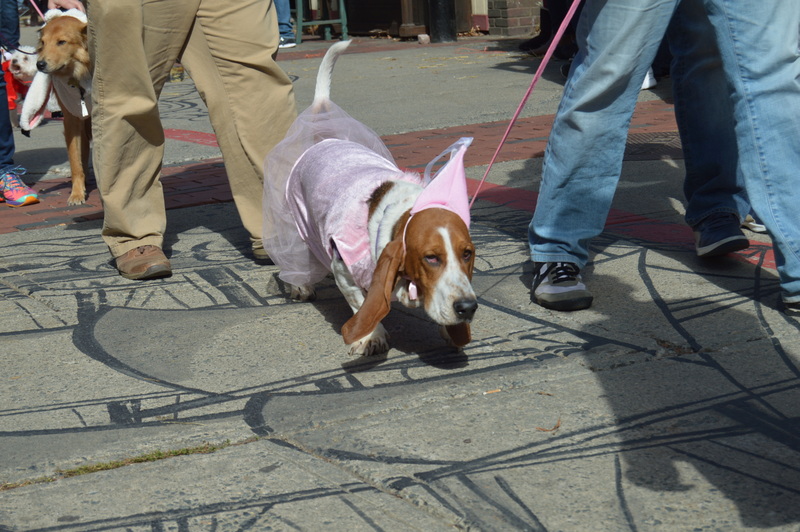 Sleeping beauty was also at the parade. 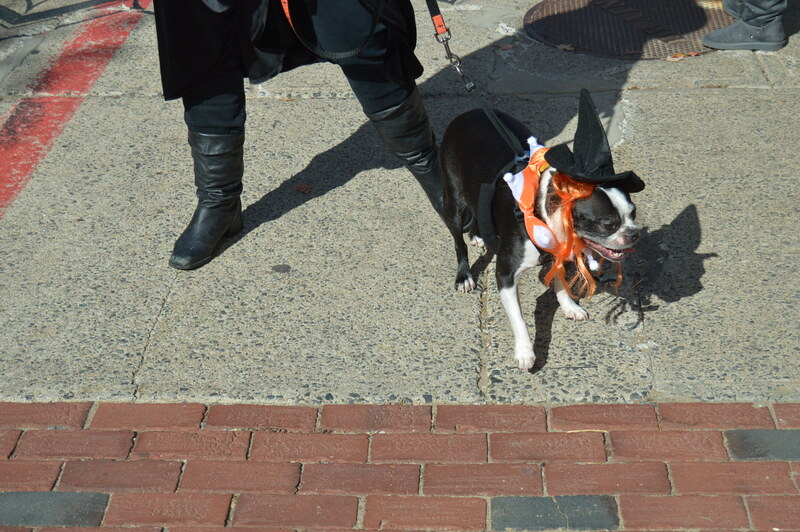 And of course, what would a Howl-O-Ween parade be without a witch? 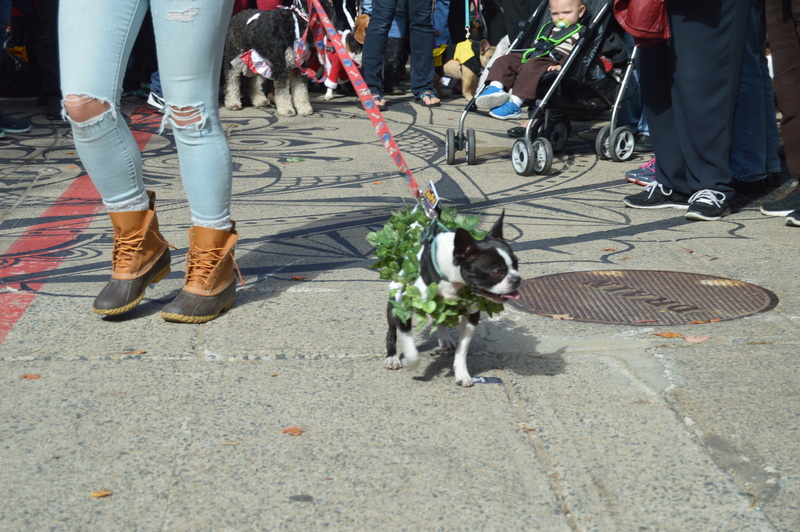 Although all the participants were winners winners, the prize for best overall costume went to “Max” from the his “How The Grinch Stole Christmas” outfit.